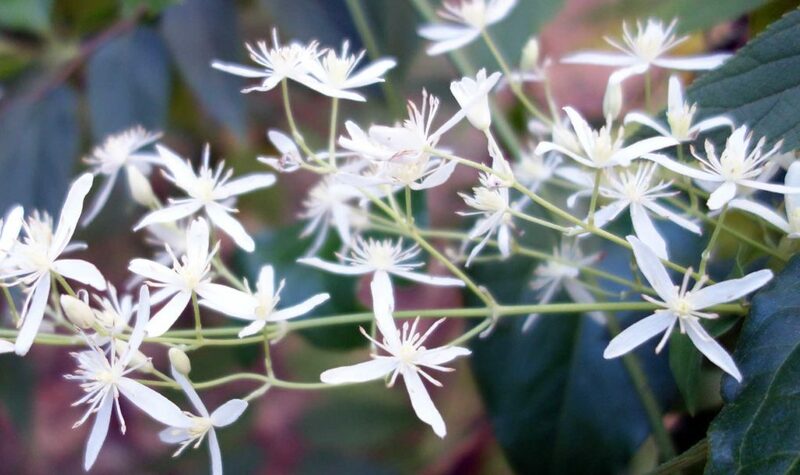 I’m lucky enough with my work and family commitments that I end up travelling to various parts of the country and this allows me to do walks that I otherwise wouldn’t. 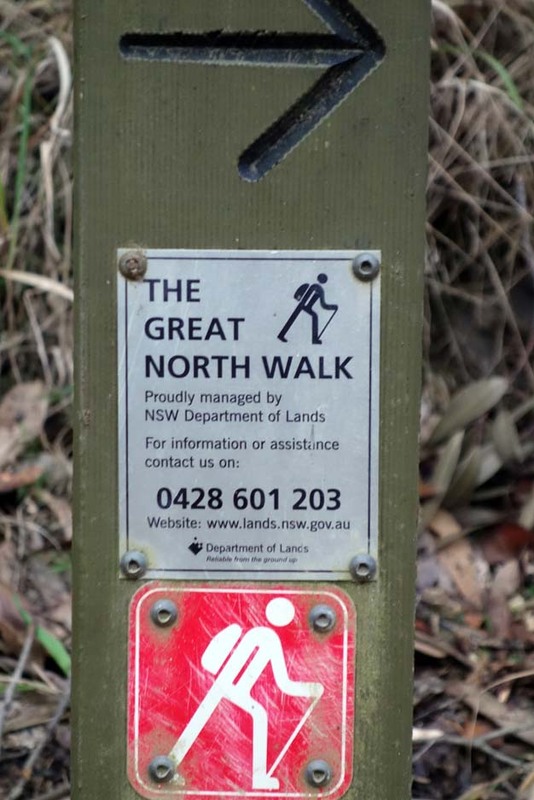 In this case I was spending a couple of days in the Newcastle area in NSW, and located this walk not far from where I was staying. 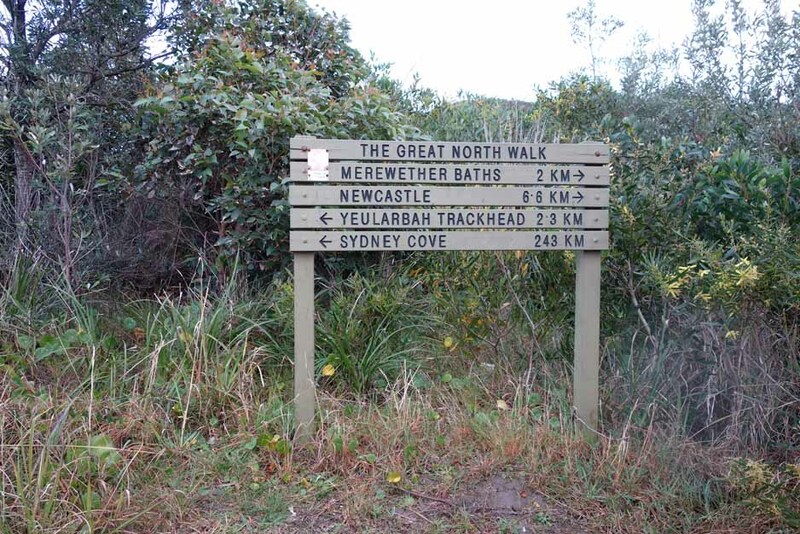 The Yuelarbah Walking Track is located in the Glenrock State Conservation Area just south of Newcastle and when you look at the map from the NSW National Parks and Wildlife Service you would think this walk isn’t going to be anything special however you would be wrong. The car park for this walk is very easy to locate either online or via one of the mapping apps on your phone or in your car. 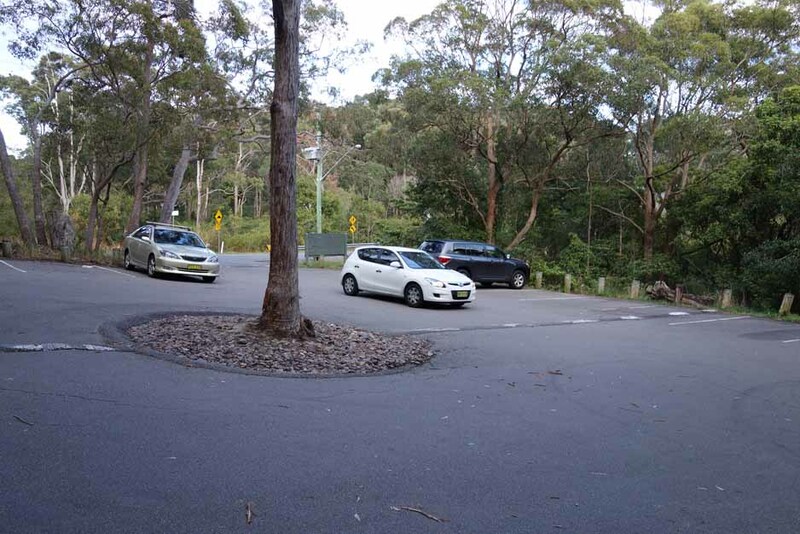 This car park is a decent sized area and will take approximately 20 plus cars but given its location, I would start walking early in the morning before the crowds get there particularly in the warmer months of the year and given there is also a cycling trail in the same area. 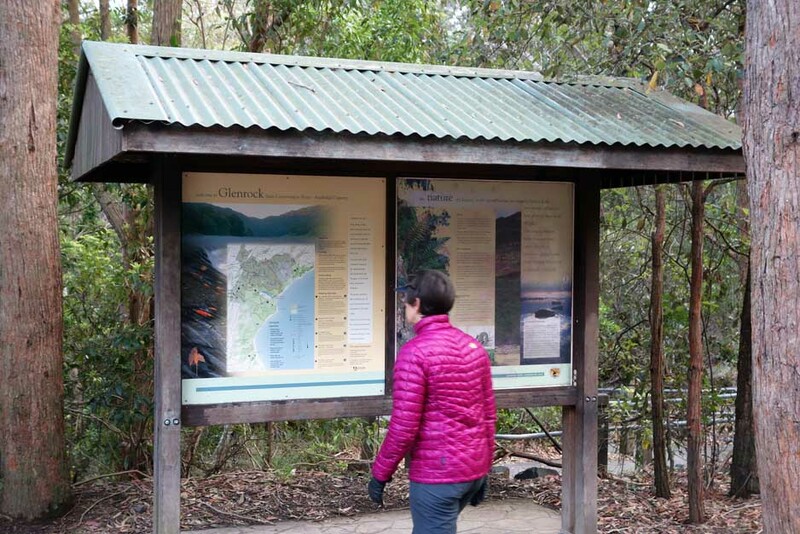 Start the walk at the trail head in the corner of the car park – make sure you read the good interpretive signage before heading off on the well maintained trail. 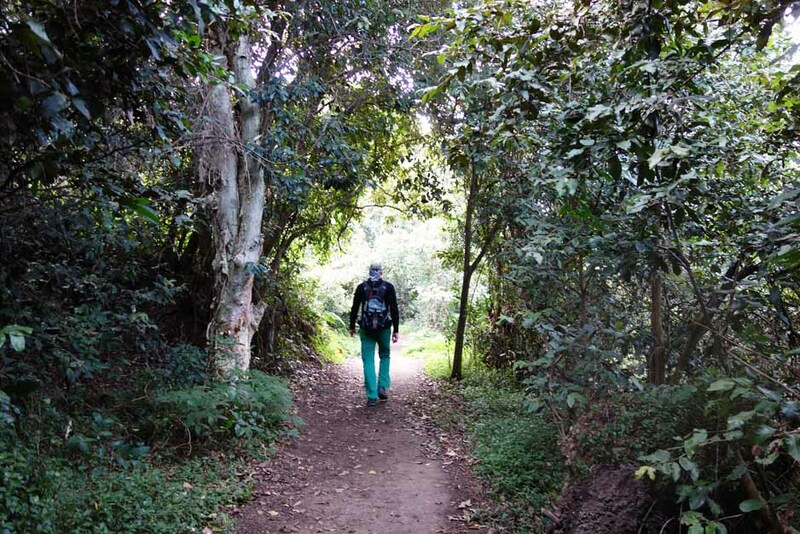 This trail doesn’t have a huge change in altitude however when it occurs it does so in a couple of sections which means that on the way back you have one super steep section that you need to traverse. 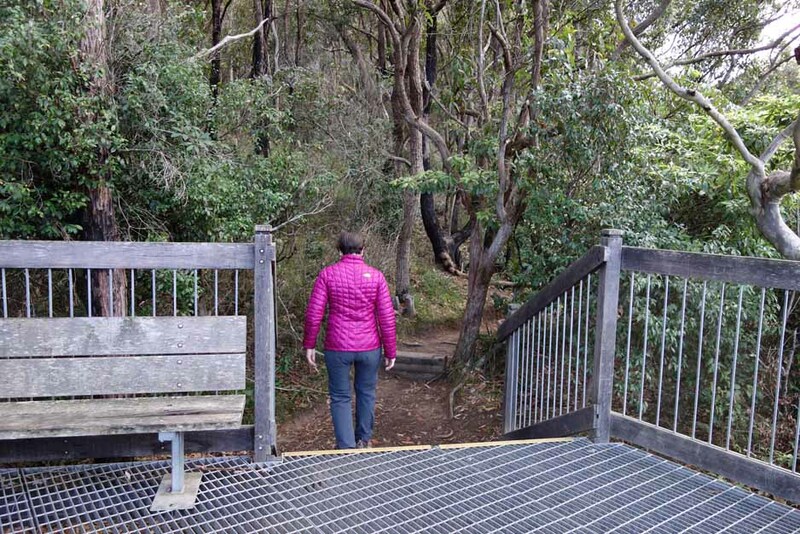 Prior to the steep set of stairs, the trail is wheelchair accessible. 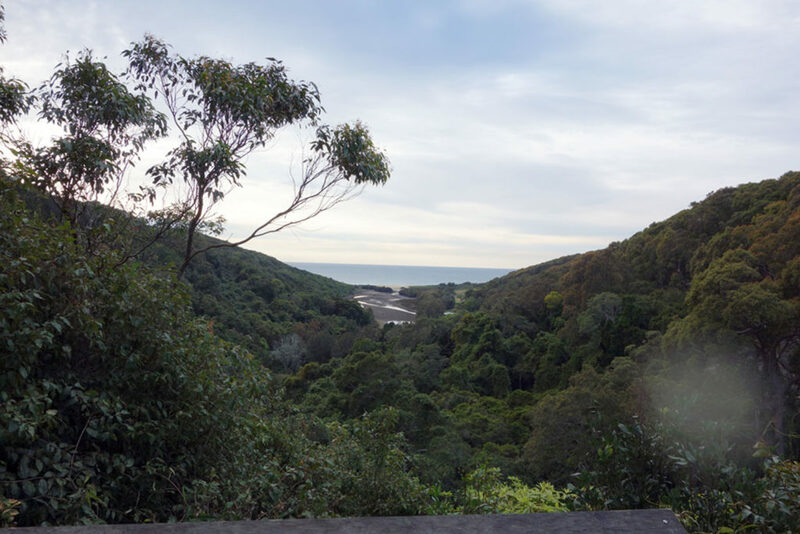 About a third of the way in, you will come to Leichhardt’s lookout that provides your first glimpse of the ocean. 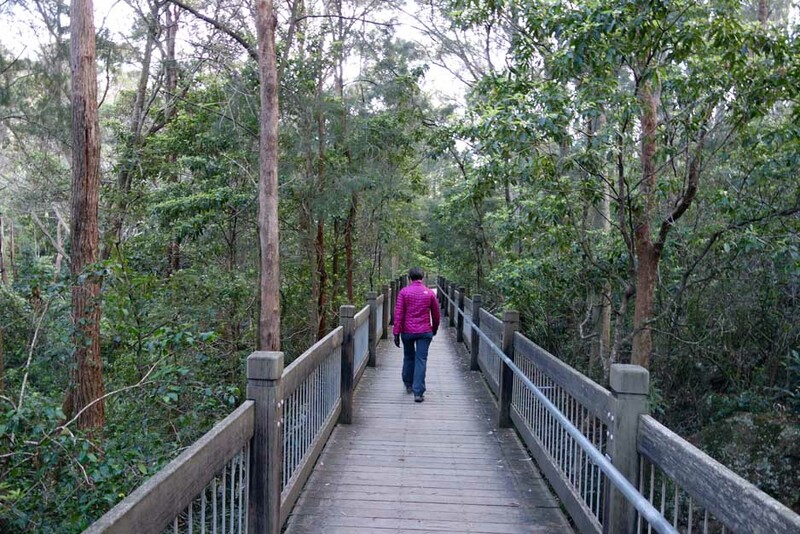 This lookout is about the only area where you need to think about where you are going – you need to walk onto the platform at one set of small stairs then off the platform at another set of stars located on the left of the platform. There is not obvious trail marking here so we had to guess the direction we needed to head. 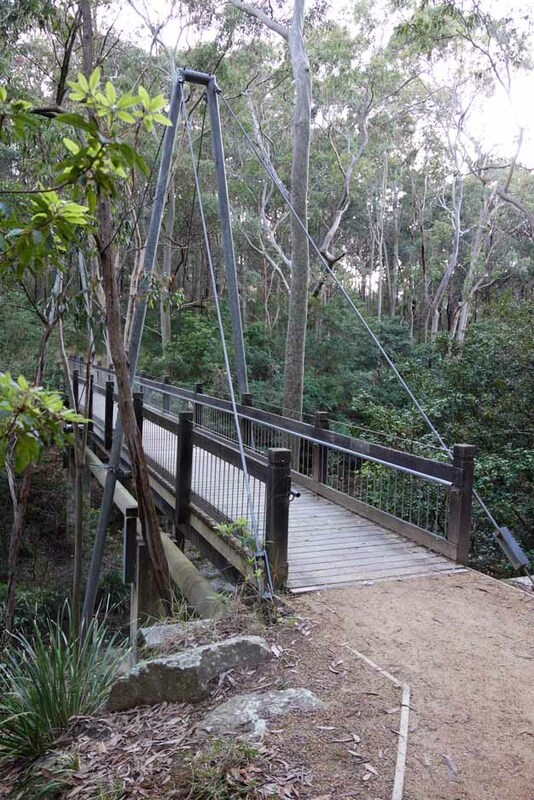 You will cross two large creeks that have bridges on them – there is plenty to see at these crossings so make sure you linger a little. 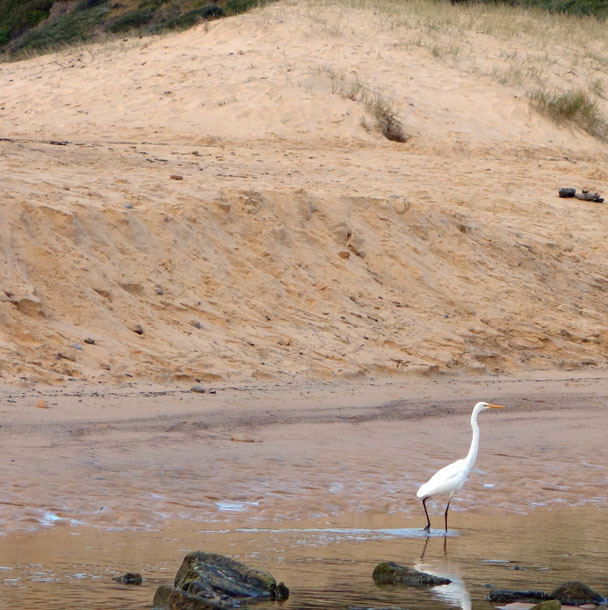 The turnaround point is at the 4.8 km point when you reach the beach. 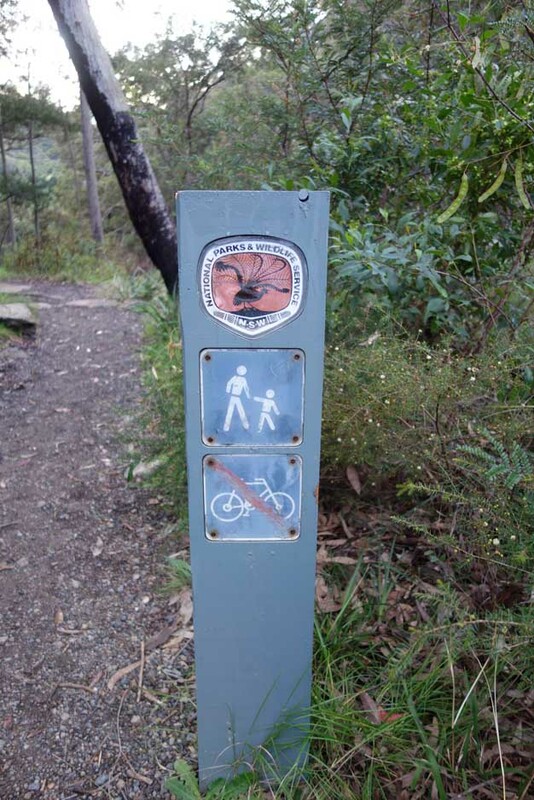 At this point you could do a one way walk by continuing on the trail into Newcastle. 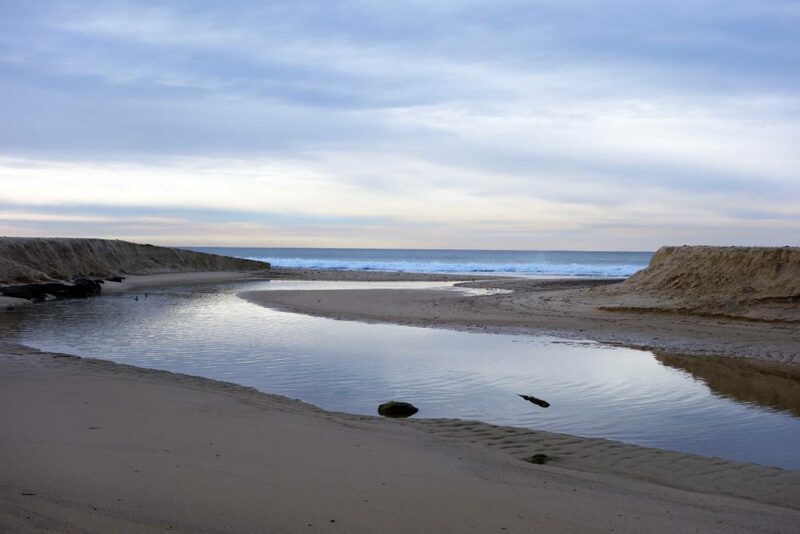 Another option is to do the return leg on foot which will put you close to 20 km for the car park-Newcastle round trip. We opted to return from the beach the way we came and given that we spent a bit of time just looking around, this took us around 90 minutes – a slow pace for us and an indicator of how much we enjoyed this trail. 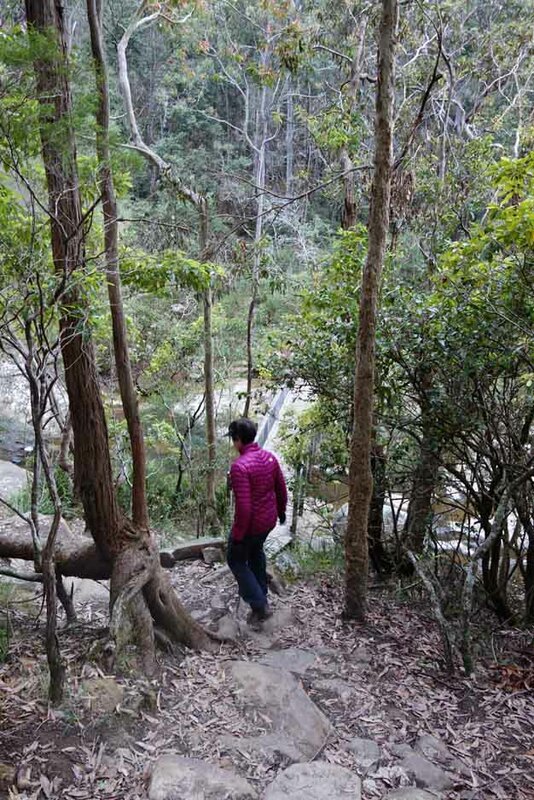 The Yuelarbah Walking Track is one of the prettiest walks I have done for a number of months. 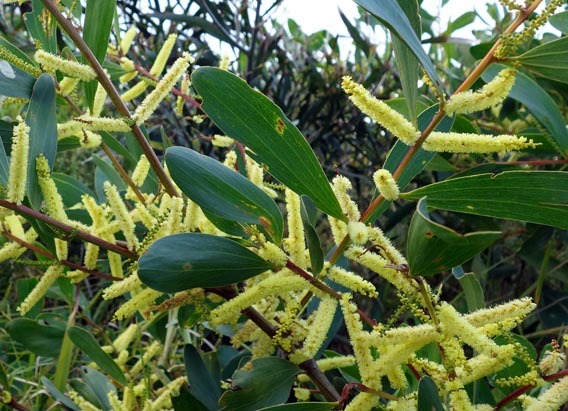 In late winter, there were plenty of wildflowers, good bird life and plenty to see so, if you are in this area or live nearby, it is well worth doing. 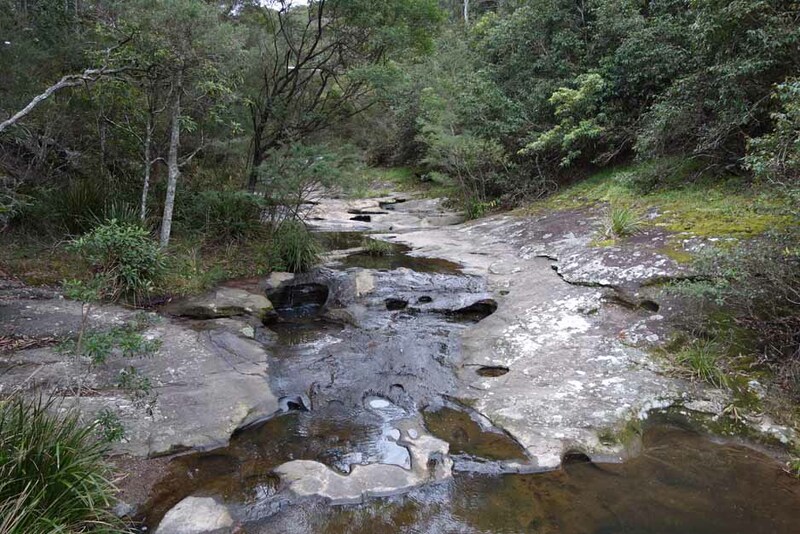 The Yuelarbah Walking Track is located in the Glenrock State Conservation Area and is managed by the NSW National Parks and Wildlife Service. 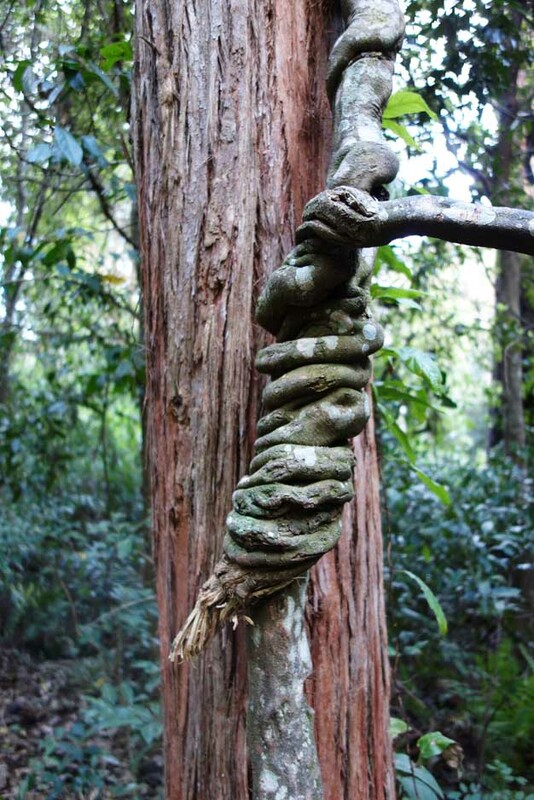 The trail head car park is located on Burwood Road in the Newcastle suburb of Kahibah. 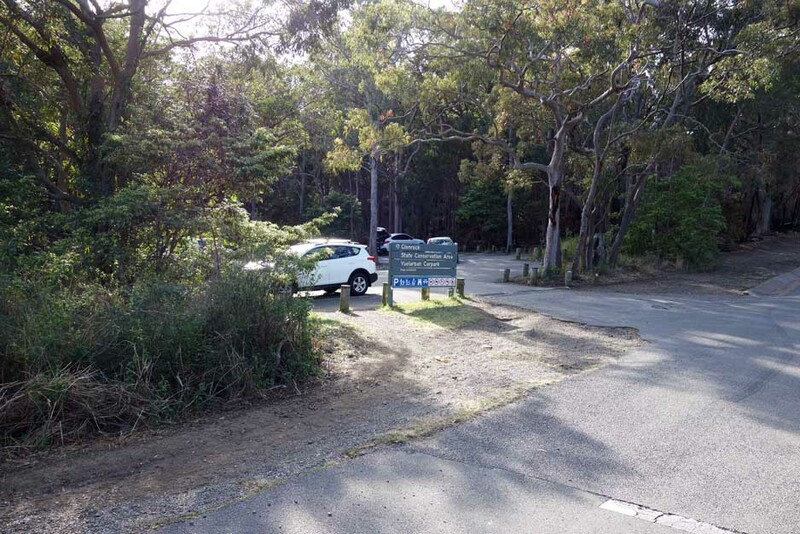 The trail head car park is 9 km and about 15 minutes drive south of Newcastle. 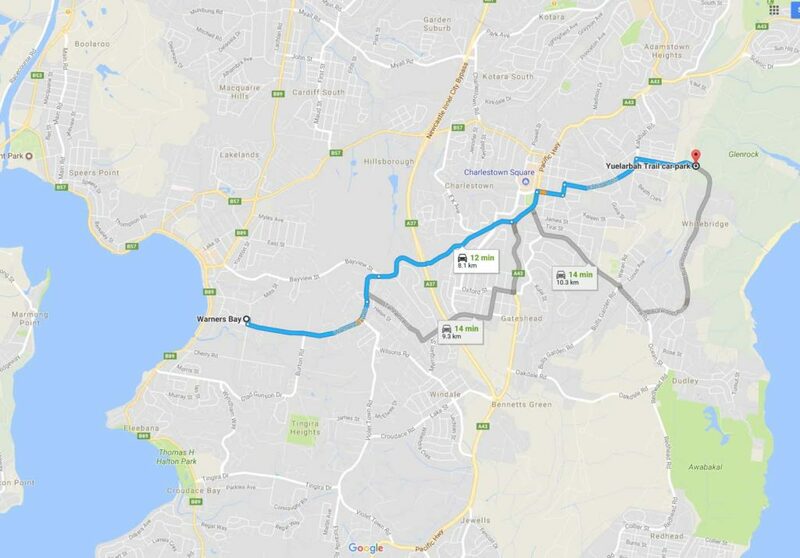 If coming from Warners Bay to the south, by car it will take about 12 minutes to travel the 8.1 km. 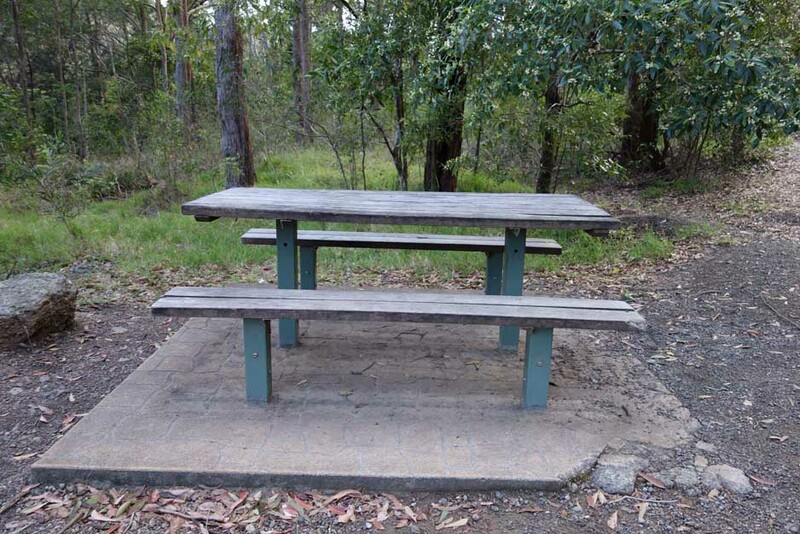 Warning: When using your GPS or phone app for directions, search for the ‘Yuelarbah Trail car park, Burwood Road’. 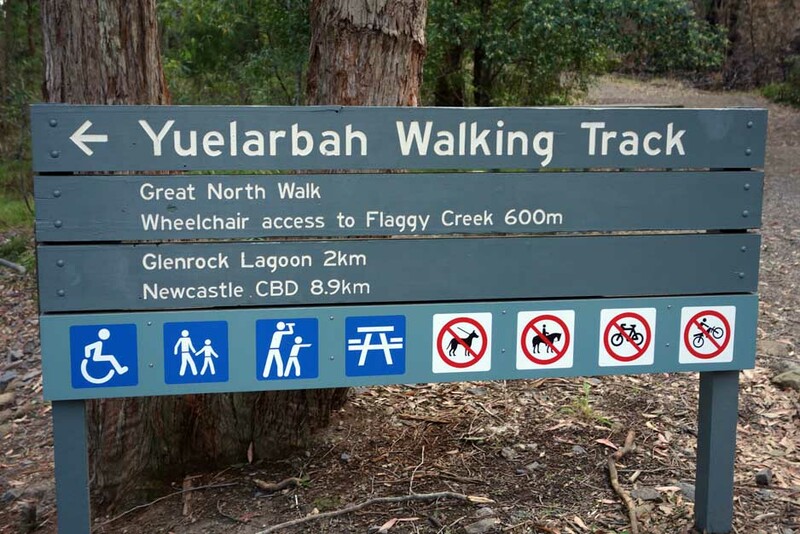 If you search for ‘Yuelarbah Walking Track’ you will get directed to the Shortland Wetlands Area which is in the opposite direction from Newcastle.